Seeing as food is a big part of your big day, you will certainly want to consider hiring a wedding caterer to present your cuisine. After all, your wedding is a once in a lifetime celebration, and should highlight a meal that your guests won’t want to wait to indulge in! Are you aware of the many reasons as to why you should hire a caterer for your own nuptials? You should greatly enjoy your wedding day. After all, it’s your special event, and the last thing you should be worrying about is your food! So, know that by hiring a wedding caterer, you can be entirely stress-free when it comes to ensuring that your guests are presented with a wonderful meal to indulge in. Could you imagine having to worry about cooking a meal for twenty to upwards of hundreds of wedding guests on your big day? Absolutely not! So, don’t even think about cooking, or having your friends or family members do so either, as if you do, it will certainly take up a great deal of time, and your celebration won’t be able to be enjoyed! Instead, hire a wedding caterer, and leave the time in their hands, so that you and your loved ones can enjoy your nuptials. If you choose to hire a caterer for your wedding, you can work with them to develop a personalized menu specifically for your event! Whether you choose to showcase the traditional sit-down dinner, or an interactive food station, your wedding caterer will comprise the best option for your big day to complement the taste and presentation that you prefer. There are many benefits to hiring a caterer for your nuptials! These are just a few that you will want to keep in mind. If you are ready to hire your own wedding caterer in Baltimore, Maryland, please get in touch with us here at Zeffert & Gold Catering! 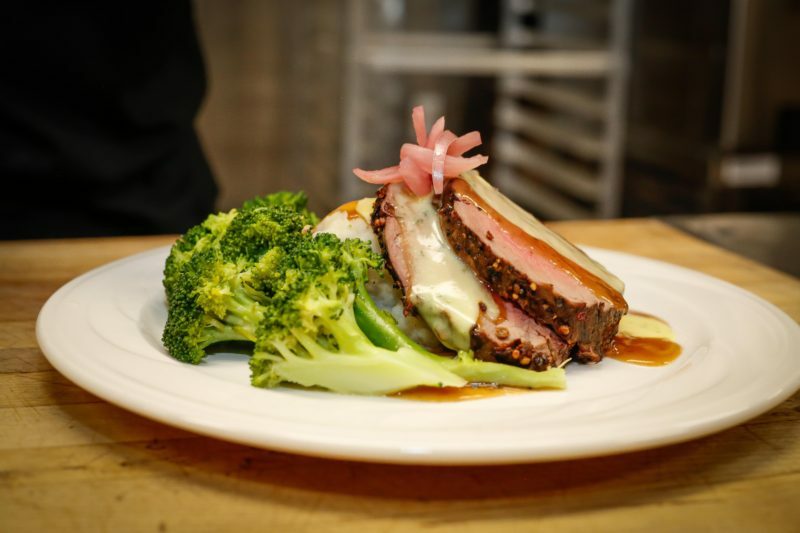 We understand just how important food is when it comes to a wedding, and would be pleased with the opportunity to present the cuisine for yours. Error: Error validating access token: Session has expired on Friday, 12-Apr-19 20:42:14 PDT. The current time is Thursday, 18-Apr-19 06:05:06 PDT.